This is Part 2 of a two-part story about Elise Vreede and Megan Fletcher, two ICC alumni who are returning to perform solos in “Evening Song of St. Petersburg” at Voices of Youth. They originally sang these on tour in Russia as ICC singers. This month, we hear from Megan Fletcher. Last June I graduated from the Master’s program at DePaul University in voice performance. My plan from here is to continue my vocal study and start auditioning for young artist programs in opera, starting next fall. I reside in Chicago, where I teach voice and piano, as well as performing in a couple professional choirs around the city. I was incredibly blessed with having the opportunity to go on six international tours in my time with the ICC and IYC. One thing I remember about Russia is that it was the first time I’d ever sung in the Russian language. In contrast to Latin or Italian, whose sounds were easier to hone as a young teen, Russian was difficult because of the Cyrillic alphabet and sounds which were very new to me. We basically had to write entire lines of phonetic text for all the verses of all our songs. However, by the time we boarded our plane, we had a whole set of Russian repertoire memorized and ready to perform. The great amount of singing in foreign language in the ICC sparked my own passion for language learning and prepared me for a career in opera singing. Coming back to sing with the ICC is amazing. I sang a little feature at the Big Fun Event a couple years ago, and it’s just amazing to see the young people in this choir continuing to perform at such an amazingly high level and with such joy. It makes me remember how this choir ignited my passion for music. I would never be where I am today without my experience in the ICC. I started at age 6 in what was then the Kindermusik program, and I continued all the way through high school with IYC. Performing at such a young age and at such a high level of professionalism definitely formed me as a musician and person. My experience with the ICC gave me the invaluable confidence, musicianship, and maturity that has taken me to where I am today. To me, the ICC is important because of the change it can bring about in our community and world. Children being committed to creating art can inspire parents, politicians, and whole communities of people to value musical performance, to value music education, and to value the contributions of young people. Mr. Leck has created something that has shaped the lives of so many children in Indianapolis, this country, and abroad. I feel so privileged to have gotten to work with this amazing man. Click here to read part 1 from Elise Vreede. 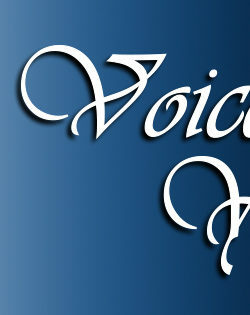 Voices of Youth and Tapestry of Song are Sunday, March 13 at Hilbert Circle Theatre. Click here to purchase advance tickets.